One of the first things I always look for in any new Stampin’ Up! Catalog are the Kits. There are always some really great options. 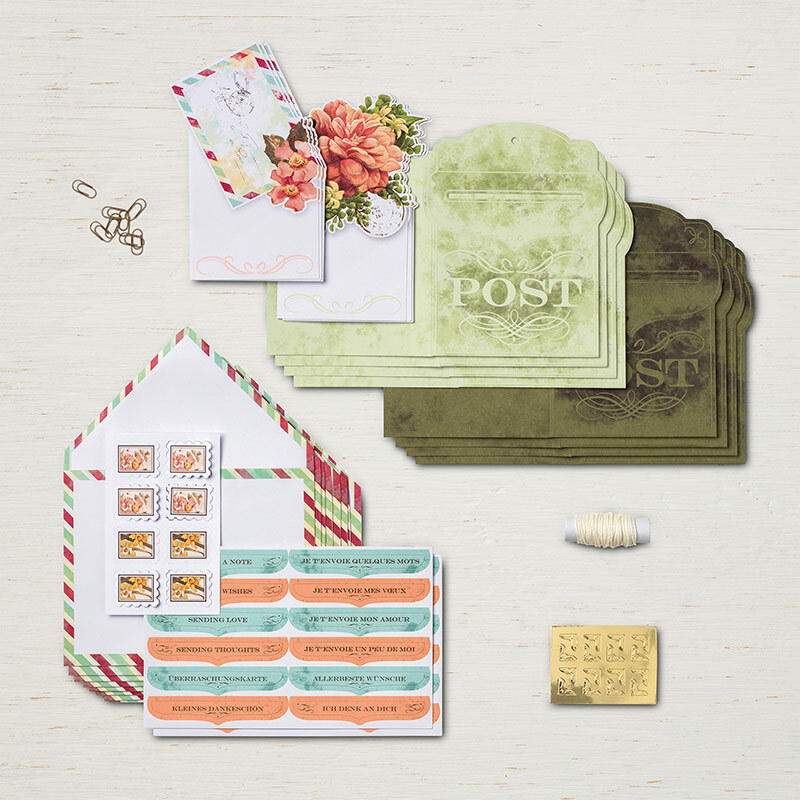 There are two types of Kits, Project Kits with a coordinating Stamp Set, or All Inclusive Kits, which include the stamps and everything you need to complete the Project. This Kit was remarkably quick and easy to assemble because everything is cut and ready for you! Go to my online store at http://www.craftingonthehillstampinup.net to order or just contact me! These are the cards you will create with this Incredible Like Project Kit. This is going to be a FUN night of assembling one of the NEW Card Kits from the 2019 Occasions Catalog! I’ll have the assembled Kit and alternatives. You will use my Incredible Like You Stamp Set as well as Stampin’ Ink Pads to complete your stamping and at least one of each card in the Kit. Cost is $32, which includes your Kit to complete 16 cards, 4 each of 4 designs with matching envelopes and a lovely storage envelope. Please bring scissors and any additional adhesives you may wish to use. RSVP by January 13th with payment to allow time to order Kits! Credit Cards accepted. **Held at Crafting on the Hill Studio. Directions will be given when you RSVP. This monthly Cards Class is a great way to build your cards stash with some beautiful Fast and Fabulous handmade cards. For this class you will make 6 cards, 2 each of 3 designs, including envelopes and inside sentiments. 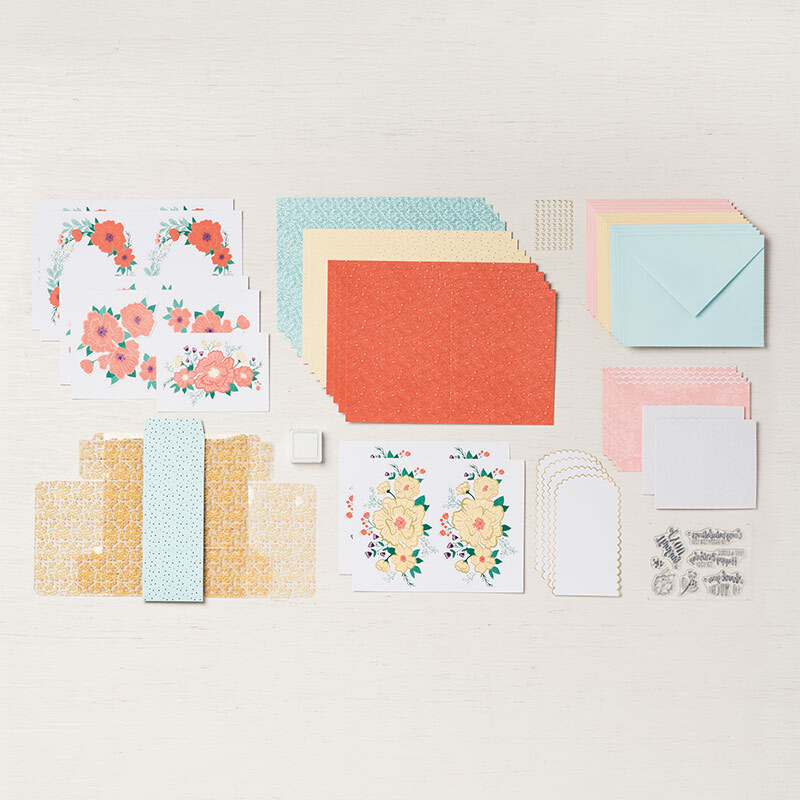 We’ll be using the NEW Butterfly stamps, punch and Designer Series Paper from the NEW Occasions and Sale-A-Bration Catalogs to make these beautiful cards. New Customers: You will receive a FREE copy of all current catalogs. **Class is $12 or FREE with a $20 minimum product order placed with me. **RSVP for this FUN class by Sunday, January 13th. Bring a friend new to me and you AND your friend get 5 FREE cards from my cards stash. JOIN STAMPIN’ UP! DURING SALE-A-BRATION and CHOOSE FROM TWO DIFFERENT OPTIONS!! That’s right–$175 in Stampin’ Up! Products OF YOUR CHOICE for just $99! OR get $175 in Stampin’ Up! Products OF YOUR CHOICE AND the new Craft & Carry Tote for just $129! Just go to www.craftingonthehill.stampinup.net and click on the “Join the Fun” tab or contact me and I’ll be happy to help! Place a $50 or $100 Product Order and Sale-A-Bration rewards you for shopping! With 2 earning levels, you receive FREE Products with qualifying orders, and there’s no limit to how many free products you can earn! Here’s a FREE Kit you can earn as a Sale-A-Bration item with a $50 Product Order. It’s the Precious Parcel Card Kit. It’s going to be an exciting month, so come join in on the Stampin’ Up! FUN!! Occasions and Sale-A-Bration Catalogs are HERE!! The NEW 2019 Stampin’ Up! Occasions and Sale-A-Bration Catalogs are HERE!! Always so wonderful to get started on Valentine’s and SPRING Cards! SO many lovelies in this new Catalog, but one of my very favorites from the moment I saw it is the Butterfly Gala Bundle! This Bundle creates the most beautiful projects! 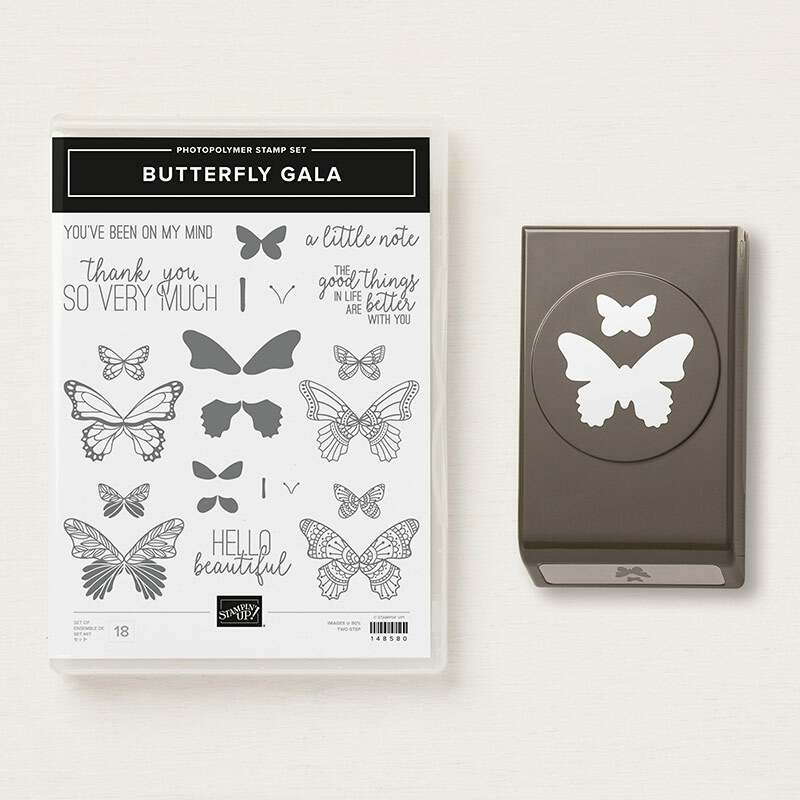 It includes the Butterfly Gala Stamp Set and the Butterfly Duet Punch. I’ll be posting pics in the next few days of some of the projects I’ve already created using this Butterfly Gala Bundle. Sale-A-Bration rewards you THREE different ways! The first way is that you can SHOP and for each product purchase of $50 or $100, you get to select a FREE Item from the Sale-A-Bration Catalog. One of my favorites actually coordinates with the Butterfly Gala Bundle and it’s so versatile. 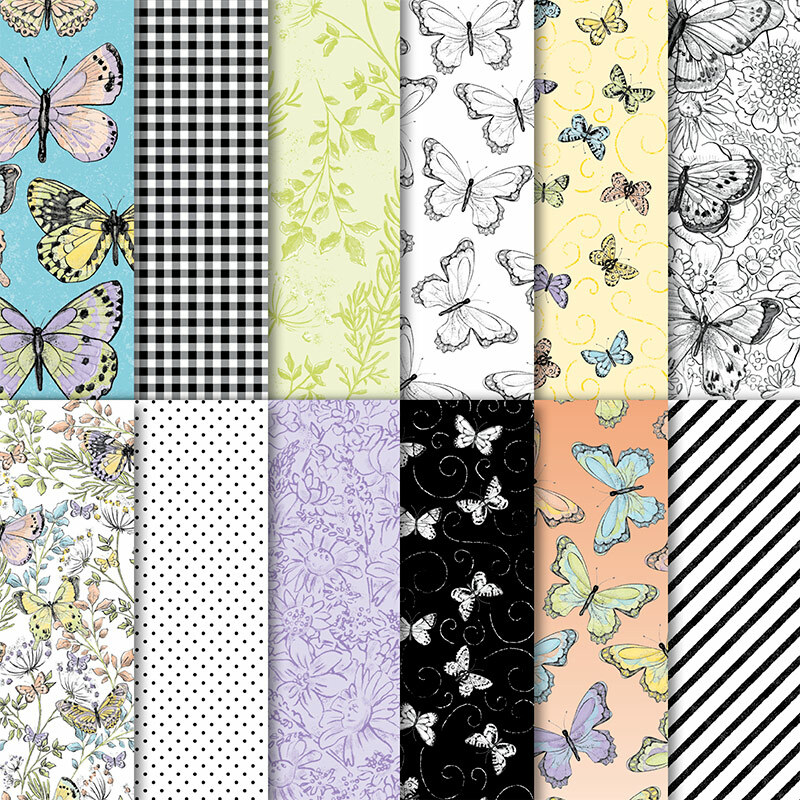 It’s the Botanical Butterfly Designer Series Paper, FREE with a $50 Product Order. Second, you can HOST a party during Sale-A-Bration and earn an EXTRA $25 in FREE products in addition to the normal Hostess Rewards. Contact me TODAY to get your party booked! Third, and BEST OF ALL, Join Stampin’ Up! and my Crafting on the Hill Team and get $175 in product for just $99, shipping included. That’s right–$175!!! OR, get $175 in product AND the beautiful new Craft & Carry Tote for just $129, shipping included. You can join on my website, but I would absolutely love to sit down and talk to you about all the benefits of being a Stampin’ Up! Demonstrator and a member of the Crafting on the Hill Team of awesome stampers! Find copies of both the Occasions and Sale-A-Bration Catalogs online at http://www.craftingonthehill.stampinup.net, or just contact me to find out how you can get your FREE Catalogs! We’ll be using the NEW Butterfly Gala Bundle and Botanical Butterfly Designer Series Paper from the NEW Occasions and Sale-A-Bration Catalogs to make these beautiful cards. **Held at Crafting on the Hill Studio just north of Jasper. Directions given when you RSVP. This is going to be a FUN night of assembling one of the NEW Card Kits from the 2019 Occasions Catalog! I’ll have the assembled Kit and alternatives. You will use my Incredible Like You Stamp Set as well as Stampin’ Ink Pads to complete at least one of each card in the Kit. Cost is $32, which includes your Kit to complete 16 cards, 4 each of 4 designs with matching envelopes and a lovely storage envelope. Please bring scissors and any additional adhesives you may wish to use. RSVP by January 12th with payment to allow time to order Kits! Credit and Debit Cards accepted. This is a very popular Class I held last spring during Sale-A-Bration and I decided to bring it back! This is a THREE MONTH CLASS, but you may attend any number of Classes. If you have scissors, adhesives or a Stampin’ Trimmer, please bring them. If you don’t, come anyway and I’ll help you know how to select them! We will create 2 cards each month, envelopes included, with lots of teaching, tips and techniques. Cost for this Class is $10 and your payment will be your registration. Please RSVP by 2 days before Class. Join my Stampin’ Up! Crafting on the Hill Team during Sale-A-Bration and get a FREE Class Pass for one of these Classes!! All Classes are held at Crafting on the Hill Studio. Directions will be given when you register. Saying farewell to some really beautiful Stamp Sets! Now on the Retiring Products List! Stamped here in Soft Sky, Pool Party and Bermuda Bay with a touch of retiring Oh So Lovely Designer Series Paper. Such beautiful paper with such beautiful colors, but it’s retiring! I just had to display this paper in an inchie card. Sentiment is from Southern Serenade and I used the Pretty Little Label Punch. Here are the cards we made in the May Birthday Card Club using both retiring and returning products. Fresh Florals and Oh So Lovely Designer Series Papers are both retiring. On this card, I used the Basket Weave Dynamic Textured Impressions Embossing Folder. I LOVE this folder! The image is from Textured Impressions and is so elegantly simple. The sentiment is from Southern Serenade. LOTS of fun things coming up! Come find out more about Stampin’ Up and what it’s all about! Your first meeting is FREE! Snacks served beginning at 6:15, Meeting begins at 6:30 PM. 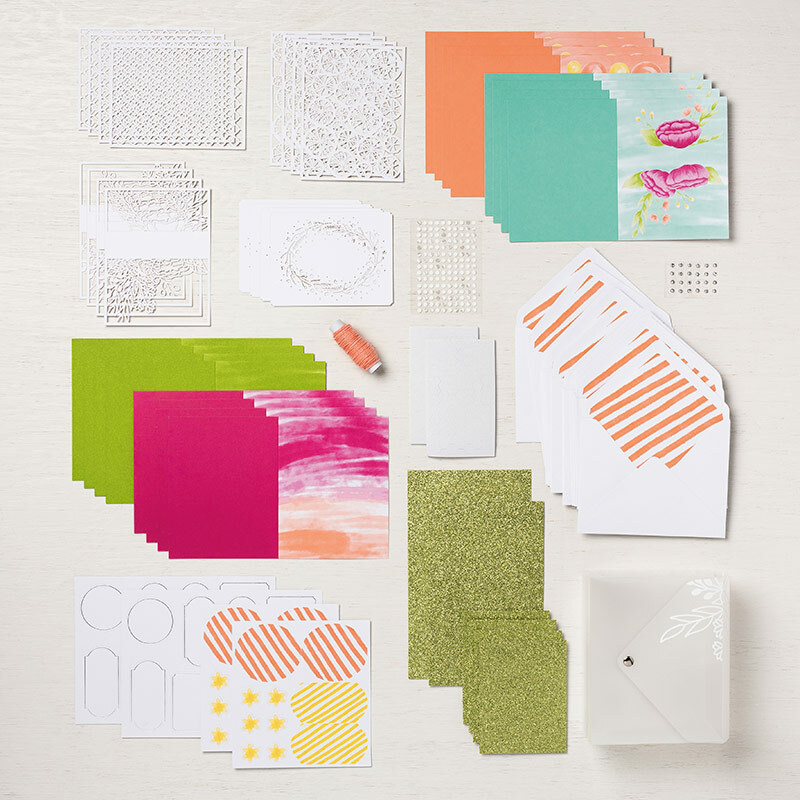 We’ll have Team Recognitions, a brief review of Stampin’ Up News, then make 4 cards using new Annual Catalog Products. Cost is $5, BUT first meeting is free. RSVP by Saturday, June 2nd. 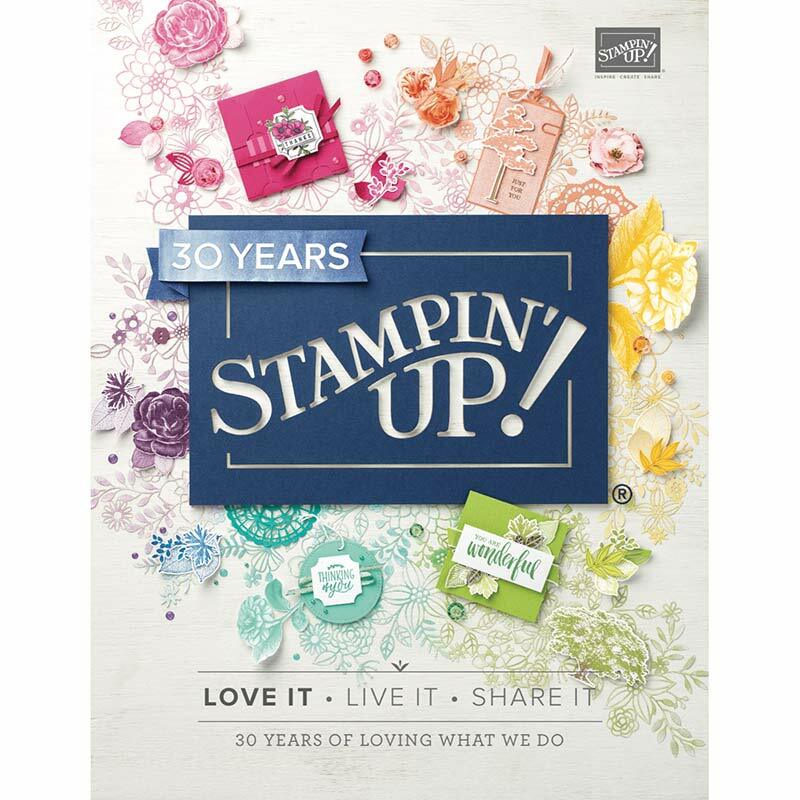 Be among the first to see the BRAND NEW 2018-2019 Stampin’ Up Annual Catalog! • All customers get your very own copy of this BRAND NEW Annual Catalog and see projects made using brand new products! Please bring scissors and adhesive. Cost is $10. **Class is $12 or FREE with a $20 minimum product order. **RSVP for this FUN class by Sunday, June 17th. Bring a friend and you AND your friend get 5 FREE cards from my cards stash! Last Class for the Birthday Club! You’ll make 8 birthday cards, 4 different cards, 2 of each! Envelopes included! Cost is $15.00 or FREE with a qualifying product order placed with me. Please bring scissors and all adhesives. I do have adhesive available for purchase. RSVP here, on my website or via email by June 24th. This is going to be a FUN night of assembling a NEW All-Inclusive Kit from the 2018-2019 Annual Catalog! I’ll have the assembled Kit and alternatives, as well as Stampin’ Ink Pads for you to use to complete at least one of each card in the Kit. Cost is $40, which includes your ALL-INCLUSIVE Kit with stamp, inks and adhesives, and everything you need to complete the cards in the Kit. Please bring scissors and any additional adhesives you may wish to use. RSVP by June 15th with payment to allow time to order Kits! Name of the Kit will be announced on June 2nd when new Catalog is released! Still available as a Bundle through May 31st. Three different Bundles, each with FREE items, but ONLY through May 31st! Click on the image below to go to my store and find out which products are FREE with each Bundle! AND SHOP FROM 3 CATALOGS!! That’s right! Get $125 in products of YOUR CHOICE for just $99, shipping included, and shop from THREE catalogs! As a Crafting on the Hill Team Member you get extra special benefits. I am passionate about this group and helping you achieve your goals, whether it’s learning new stamping techniques or building a stamping business! Monthly Team gathering with stamping and sharing. of your choice for just $99, with FREE shipping! HOW TO GET THE STAMPIN’ UP ULTIMATE BUNDLE?